What happens when you take a rare 1999 Mercedes G-Class SUV, hand it over to Top Gear Imports, and then let tuning giant Brabus get in on all the fun? 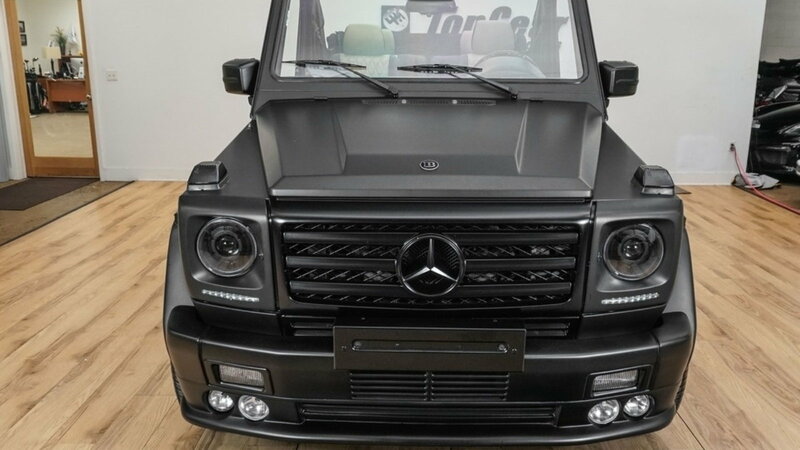 You get a military grade 4x4 truck masterfully customized into a convertible with 5.0-liter V8 engine and a body that is all matte blacked out. 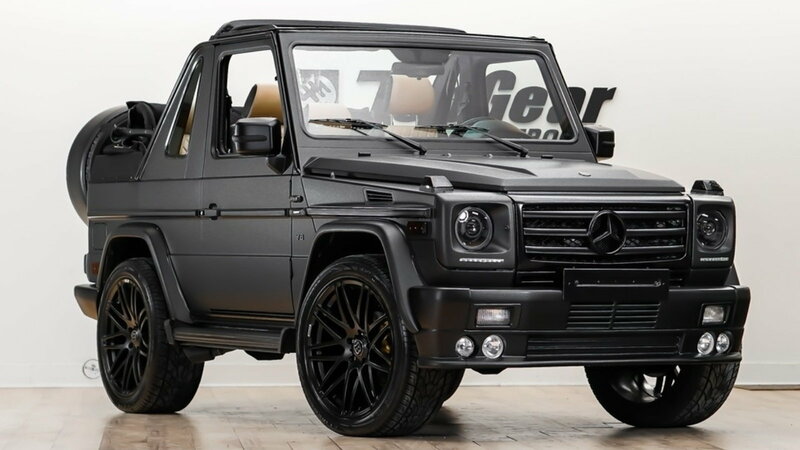 Top Gear Imports, a New Jersey-based rare auto collectibles firm, has wowed auto enthusiasts all across the country with its exceptional Mercedes Brabus G-Wagen Convertible priced at over a quarter of a million dollars. We know the Mercedes G-Class SUV as a military grade SUV with a straightforward boxy design, a super-luxurious interior, large wheels, a powerful engine, and outstanding off-road capability; as the toughest and meanest full-size SUV that Mercedes-Benz has to offer. 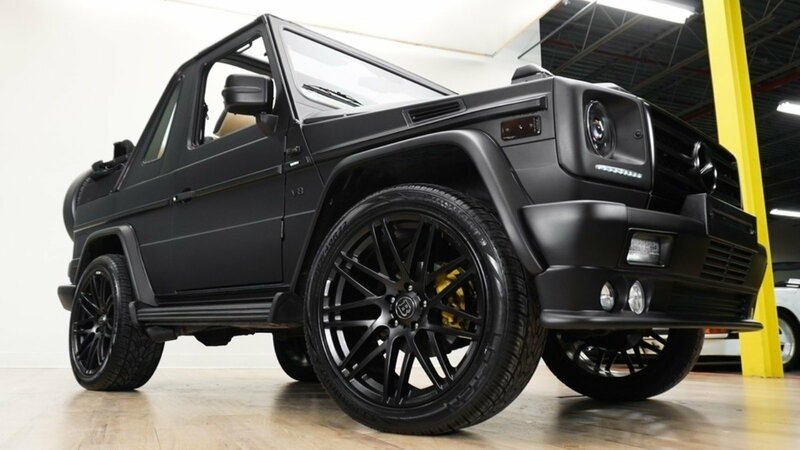 However, this particular Mercedes G-Class SUV being offered by Top Gears Imports is a G-500 4x4 that has been masterfully customized into a convertible by Brabus. It is equipped with a traditional power-operated convertible top and it also features additional Brabus treatment that gives it a distinct look. For those who don’t know, Brabus is a Germany based high-performance aftermarket tuning company which loves redesigning regular Mercedes vehicles to look crazier and of course a lot better. The company has modified several Mercedes models including the C-Class, CL-Class, Maybach, GLK, E-Class, Viano, and many more. The company has even made a record for constructing the fastest street-legal sedan which was based on the Mercedes CLS Class W219 model. The G500 convertible is based on the early two-door G-Wagen which was exclusively sold in the U.S. This particular model is a 1999/2000 edition with all the original components intact and in pristine condition. 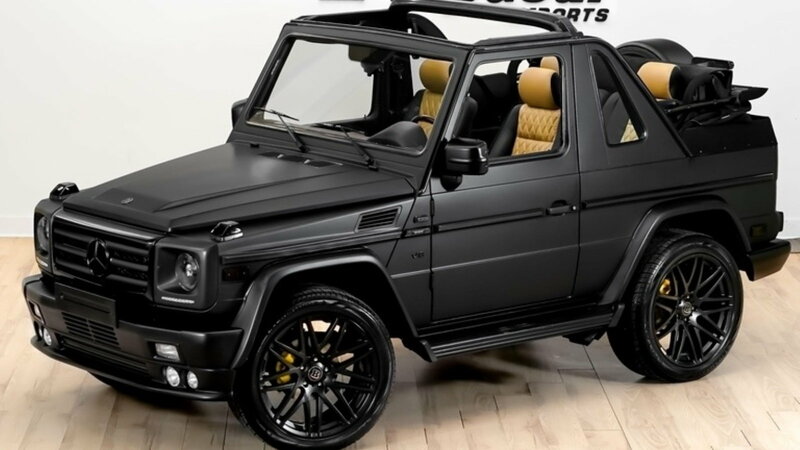 The regular 1999/2000 model G500 Cabriolet is now being sold as a rare model, so you can imagine the glory of this Brabus-tuned edition. >>Join the conversation about the Brabus G 500 Wagen right here in MBWorld. This rare Mercedes G500 Convertible carries a well-maintained 5.0-liter V8 engine which in its original condition delivers 300 horsepower. We cannot confirm through the seller whether the engine has been tuned as well for a high power output. However, the auction website does mention that there is a “light engine tune” by Brabus. 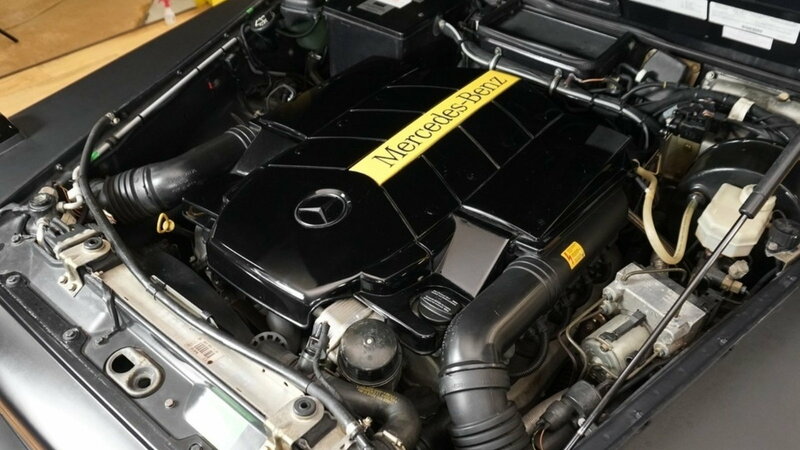 What we do know is that the V8 engine found in this model is one of the best and reliable engines developed by Mercedes. It has an all-alloy structure and three-valves per cylinder and is also found in the SLS500 sports car. Talking about the exterior, the G500 Convertible features an original dark-blue body paint with the matte black finish. All the exterior components from the bumpers, side mirrors to the wheels are covered in the dark paint. The front profile comprises a large blacked-out grille, LED headlamps, redesigned bumper with fog lamps and a modified hood. At the back, a spare wheel, revamped bumper, and stylish taillights can be seen. The exhaust pipes have been redesigned too for a brawny persona. Moreover, the exclusive ‘Brabus’ badging can be spotted both on the front and rear fascia. The SUV can be easily converted to open top by the push of the button. The red colored button located beside the ash-tray electronically pushes the rooftop down so that you can enjoy the airy breeze while driving. 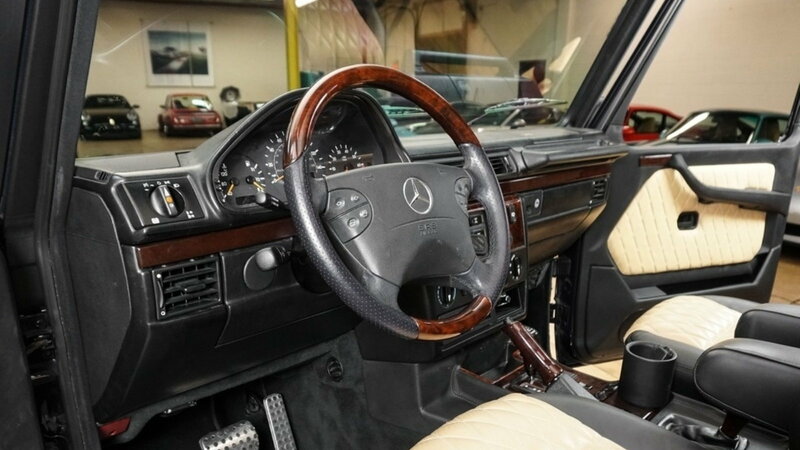 On the inside, you can notice the premium luxury feel thanks to the abundant use of wood and leather. The leather-wrapped front dash is straightforwardly designed with no high-tech infotainment or audio system indicating that the SUV is in original condition. 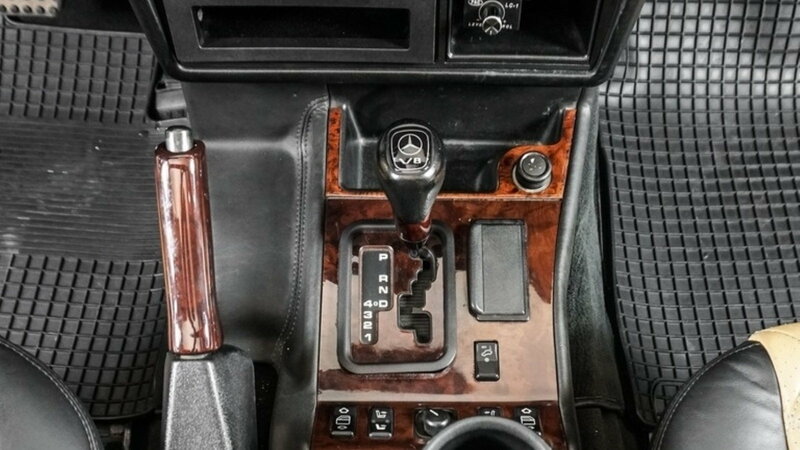 However, it does have an air-conditioning system and the wooden steering wheel has mounted controls. 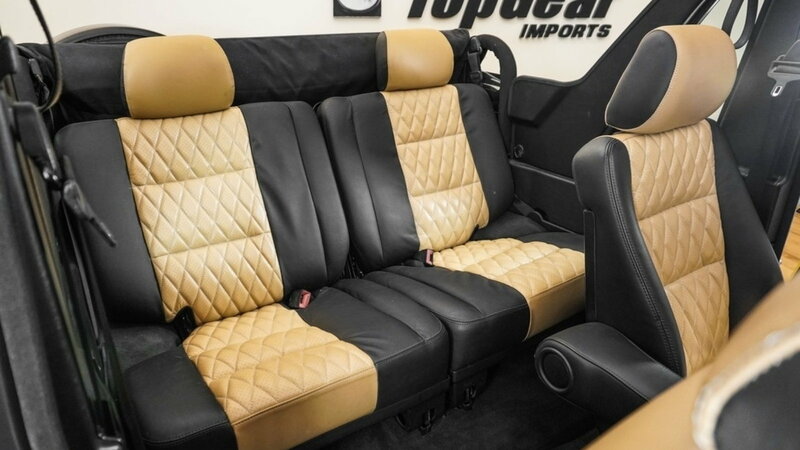 The opulent two-tone Brabus Diamond Leather upholstery adds to the overall luxurious character of the SUV. The seats also seem to comfortable and relaxing whether you are going on a long-drive or off-roading on sand dunes of Dubai. The standard G-Class Mercedes is equipped with A multi-mode transmission system, a solid axle and an ABS brake system for a tremendous drive on all sorts of terrains. With the Brabus treatment, you can expect a much better and powerful drive. Plus, the ground clearance and intelligent traction control will allow the SUV to climb anywhere you want. 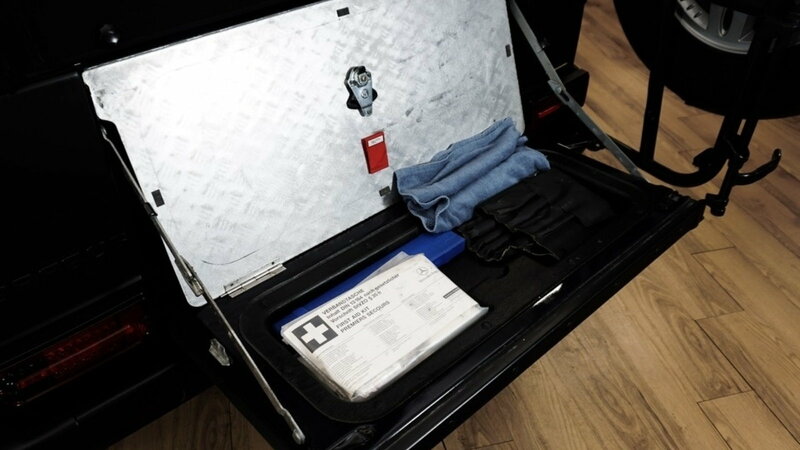 At the back of the SUV, you can find some additional amenities such as the first-aid kit, gloves and a spare tire key wrapped in a beautiful cloth. 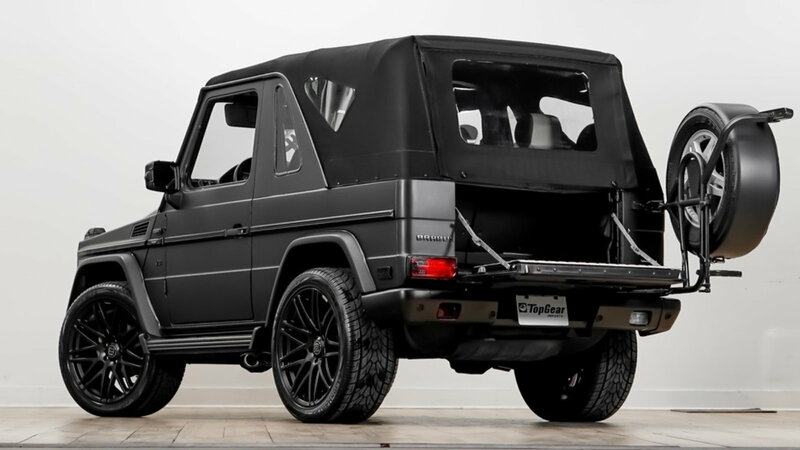 This super-rare Mercedes G500 SUV is available at Top Gear Imports with a price tag of $278,888. 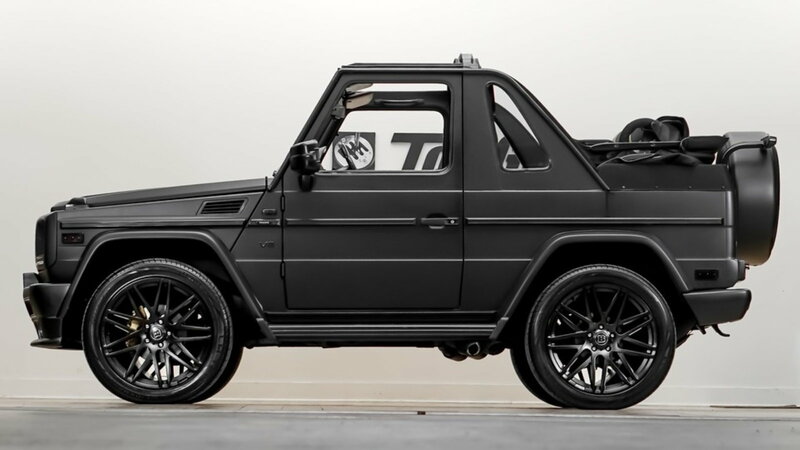 It costs $56,000 more than the recently launched G65 AMG Four-Door model which is powered by a V-12 engine.